You have more in common with your roofing shingles than you realize. Your roof will change its appearance and age over the years, just like we do. Even a one-year old roof looks different than a roof installed last month. Normal weathering and appearance changes are par for the course. Even if your roof is just a few years old, you may notice signs of aging roof shingles like cracks or blistering. Rest assured that these are common occurrences and do not indicate your roof will fail or was installed improperly. In a perfect world, you could trust any roofer and eat all the ice cream you wanted without a gaining a ounce. However, we live in the real world and just like in any field, there are roofers you can trust and those you can’t. Knowing the 5 most common roofing scams can prevent you from becoming a victim. 1. 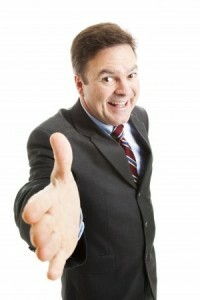 A salesman representing a roofer going door to door. Salesman is the key word here. These aren’t roofers. They specialize in selling. Maybe they’ll promise a free roof inspection. They’ll probably find something wrong, perhaps cause some damage themselves. Then they’ll offer you a free estimate, or sometimes even a free roof.